Have you ever thought that growing an online business was simply out of your league? 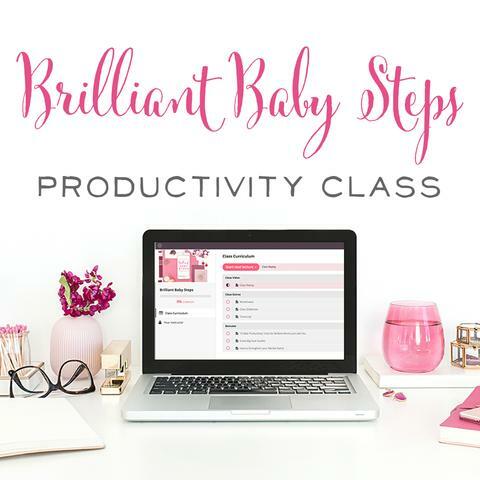 Maybe you’re a mom with kids at home, and you’re not sure you have the time or talent to grow the business you’ve been dreaming about? Today’s podcast guest, Bethany Dasko, has been there too. 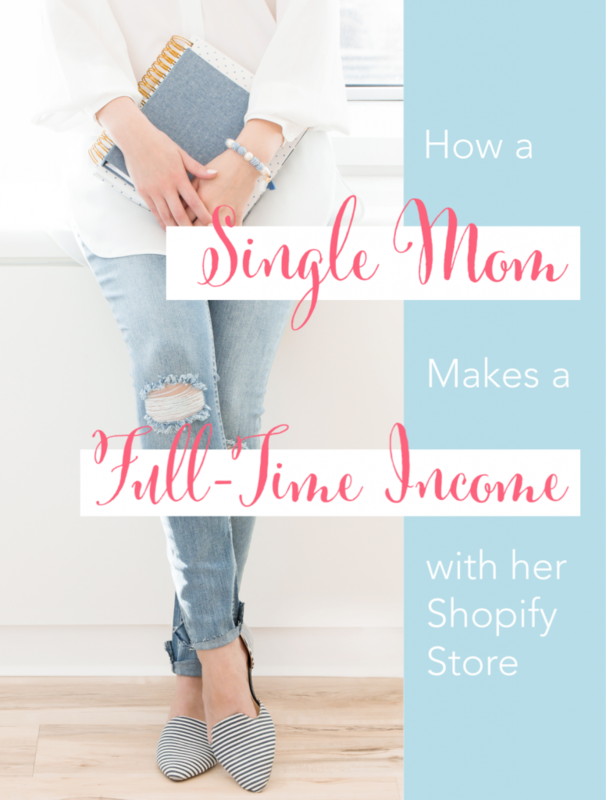 She’s a single mom with 3 kids, and when she lost her job last year, she decided to treat her online store like a real job instead, and her results are pretty incredible! Bethany’s Shopify store now supports her family full-time, and she’s also used her shop income to pay off all of her consumer debt. Bethany doesn’t sell anything super expensive or crazy unique (she’s not a magical unicorn!). She sells SVG files, which are design files that can be used with a Cricut cutting machine or Silhouette machine. Her products range in price from $3.50 to $100. What Bethany DOES do that’s a little unique is use a product launch system to sell more of her designs. She knows how to create an irresistible offer for her audience and get them really excited and ready to buy when her offer goes live. 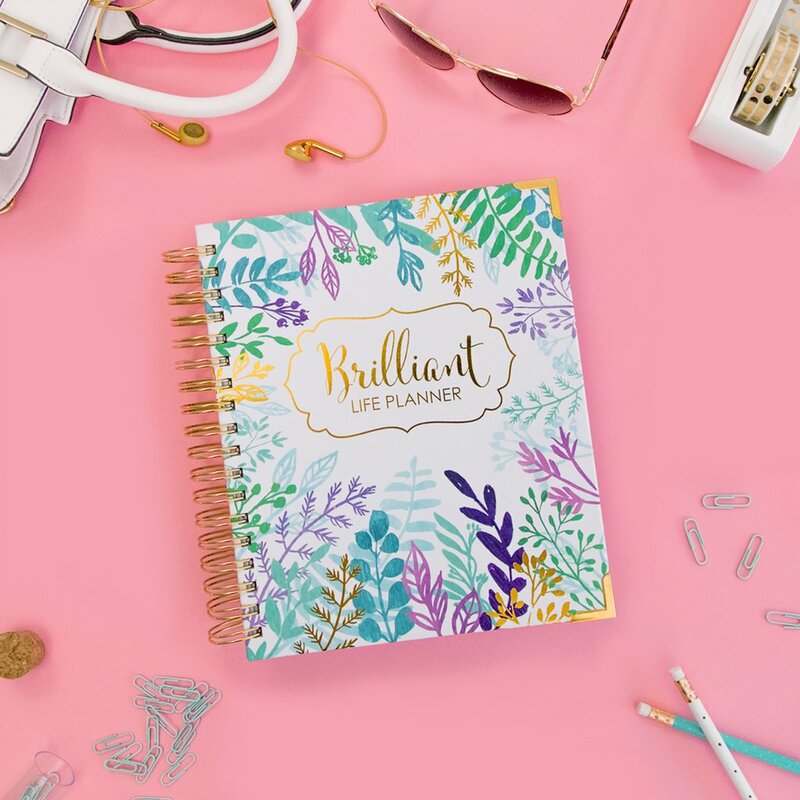 Bethany says that product launches have played a huge role in her business growth, AND she has a whole lot of fun doing them! Press Play on the Podcast Player Below to Hear Bethany's Story! Bethany Dasko of Board & Batten Design Co.! Bethany Dasko is the designer behind Board & Batten Design Co. She makes digital vector artwork — ready-made artwork for silhouette and Cricut crafting machines — and people use them to make wooden signs, T-shirts and other products. She’s also a single mom with three kids. She live in a little cabin up in the mountains on 20 acres, where she owns milk goats and other livestock. Those are her three big things: her business, her family, and her homestead. Bethany half-heartedly started on Etsy in January 2017, and then in February got laid off from her job. So that’s when she really dug in and worked on her business, going to a local business center that had good wifi and working all day long on her store while her kids were at school. Get this: Bethany replaced her job income in 3 months! “Treating it like a job is key,” she says. Bethany knows it’s hard to grow an email list on Etsy! She says her business is conducive to that, because she can offer a a $3.50 download as a freebie and use that as an incentive to grow her list. Bethany puts freebies everywhere on her Etsy shop! Bethany’s Etsy shop was doing really well (she had a list of 725 people), so she decided to build a website. Her great big goals were to have her business revolve around her email list, and create a structured system for repeatedly making money. She didn't want to just rely on trickle-in sales here and there from Pinterest traffic. And because she’s a single mom, she wanted to support her family with her business, which she does now! 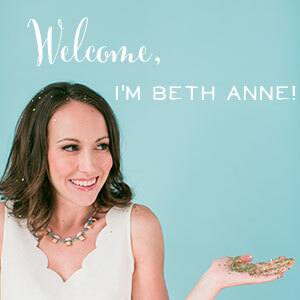 Bethany built her website in September 2017. The grand opening sale was the first thing that she did with her Shopify store, and she made $202 in eight days. She ended up earning $0.30 per subscriber for that promotion. That result was SO not worth all the work she put into it! It was more money than she had been making, because she was still making sales on Etsy, but it was very disappointing. Bethany was on MailChimp when she first opened her shop, and she thinks that’s a great place to start. She registered her domain right away, and her boardbattendesign.com was just an opt-in page to grow her list. She built a pretty opt-in form on that homepage that showed off the design she was giving away for free. Then she made some pretty pins for Pinterest to help build up her list. Bethany thought, “OK, that brings in a little trickle traffic here and there, but it would take years to build up to the point where I could support my family.” And she needed to support her family immediately! She would have eventually needed to get another job, and she didn’t want that. She wanted the life of being completely self-employed, and was really intrigued by the idea of product launching. I think sometimes when we hear “product launches” we think that's just for online courses. But Bethany thought there had to be a way for her to take the bones of the idea and adapt it for her own business! She wanted to create new products and then spend a whole bunch of time marketing and getting more eyes on them. By November 2017, Bethany had a list of about 3,500 people. 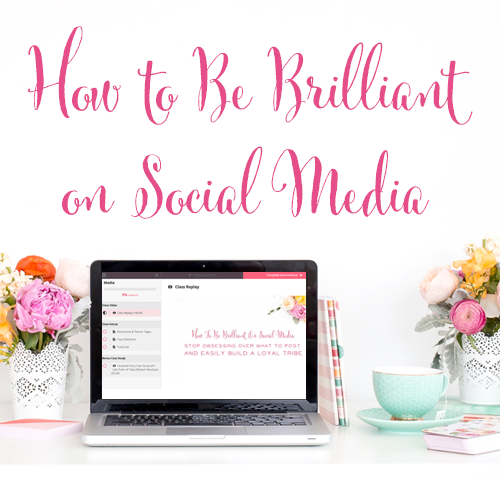 Having her own website really allowed her to leverage different ways to grow her list. But the neatest thing about Bethany’s very first attempt at a product launch is that she made more than twice as much per subscriber. During her September sale, Bethany made $0.30 per subscriber, but during her November sale, she made $0.66 per subscriber! Hint: The size of your list is so much less important than how targeted they are, and how well you nurture them and get them ready to buy your offer on launch day! The one thing Bethany really loves about doing these design releases — which is her version of a product launch — is that she’s only decided to do them five times a year. So she’s only selling to her list five times a year. She doesn’t feel like she has to email her subscribers all the time and bug them to buy her stuff. She’s able to back off and relax and send them stuff that’s helpful and cool. Bethany’s subscribers are her friends! Because Bethany is building that anticipation and excitement, her people don't really feel “sold to.” They feel like they’re along for the ride, and they’re excited for when that new design release comes out. Bethany has had some customers who have bought literally every single design she’s ever made! That is unheard of in the SVG design industry! Bethany works 4 hours a day, 5 days a week, and she also homeschools her oldest daughter (she's 12). She doesn’t want to have any one aspect of her life take over everything else. 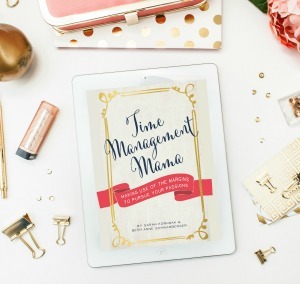 She loves her business and marketing, but she doesn’t want to spend 8 hours a day doing it. She’s making enough to take care of her family, put herself in a better financial position, and have actual balance in her life. She says her business has changed her life in amazing ways. Bethany might not be making a million dollars, but she’s leading a million-dollar life where she has margin and space and time for all the things she enjoys! I just love that! Usually about 3-4 weeks before a launch (what Bethany calls a design release), Bethany starts working on her designs. She posts screenshots to show people what she’s working on and tries to make it entertaining to promote interaction. She also gets potential customers excited by showing them a couple previews of the ones that she thinks will be well received. Bethany sends out 2-3 emails ahead of her launch. She starts off with a completely unrelated email where she hints at what’s coming and the new designs she’s working on. Then she sends out some sneak previews. Then she shows all the new designs. And finally, she launches her new design collection! At the beginning of her 4-day launch, she sends 2 emails the first day and includes an early bird special. Bethany also likes to include cool graphics in her emails. She says they make such a big difference! Bethany includes 30-40 new designs in each design release, and tends to break them up based on the seasons. For example, her most recent design release was in March, and she put out a Mother's Day bundle, a springtime designs bundle, as well as some non-themed designs. On her Shopify site, she’s able to offer really big bundles (which is hard to do on Etsy). When her customers purchase a bundle, they have access to all the future designs she ever adds to that bundle! She likes to give potential customers an incentive to buy and lock in the best price they’ll get for a bundle. Even though an individual design costs just $3.50, Bethany’s bundles are priced from $25 to $100. And once a year, she packages all of that year’s designs together and sells them as one ginormous bundle! That’s a really great deal! Bethany also sells monthly bundles by for people who want to buy everything (as opposed to just the themed designs). When Bethany first started in this industry, she noticed that most designers were not really big fans of their designs being used on other people’s products. But her perspective is, “Yes, sell the stuff you make with my designs! Make all the money!” That gives her something to talk about with her email list, to nurture them and to give them tools for their business. It also helps because people who are in business tend to buy more if they're using designs for products they plan to sell. They’ll eventually need more designs. And if her style works well with their shop’s style, then they are going to continue to want more of Bethany’s designs. Bethany says she tries to help her customers however she can. She wants to reward the people who stick with her and who are willing to take a chance on her, even if they don’t know her very well. Board & Batten Design Co.’s Biggest Product Launch Ever! The biggest and best product launch Bethany has had so far was her 2018 Christmas design release. She did it in October instead of November, which gave her customers more time to get designs before the holiday season. She made $5,800 in just 4 days! But the best part was, her shop conversion rate was 6%. This is insanely HIGH for an online store! Most of us expect a 1-2% conversion rate for our shops. This shows that Bethany knows exactly how to nurture her audience, get them excited to buy, and drive those happy buyers to her shop on launch day. FYI, when we say “conversion rate” above, what we mean is the percentage of people who visited Bethany’s shop who actually bought something. In this case, 6 out of every 100 visitors bought something. (This is a VERY GOOD conversion rate!) Most of us get just 1-2 people out of every 100 shop visitors to buy our products. At the time of this promotion, Bethany’s list was about 7,500 people, and she made $0.78 per subscriber. She more than doubled her earnings per subscriber compared to her first attempt at a promotion! Don’t stress, brilliant mama! Bethany Dasko has some great advice: Just start small. It is crucial to have a good process, and you should know the steps, but it's really not as hard as you think. Starting small is really the key because it can help you develop your method to warm up your audience, get them ready, and then sell to them. Even if you just have a couple days to prepare, it's better than not trying at all! It’s so easy to sell to people when they are like your friend. You’re not just some person trying to make a buck. Bethany’s focus is creating an awesome product that's unique, being relatable, and helping people get to know her. That takes away the stress of feeling like she constantly has to sell. Bethany’s philosophy is that time is going to pass no matter what. You can work toward something or you can sit around doing nothing. But if you're working toward something, you can be that much closer to the life that you want to have! Find Board & Batten Design Co. on Shopify, Facebook, Instagram, and Pinterest! You can find Bethany and sign up for her list at boardbattendesign.com. She’s also present on Facebook, Instagram, and Pinterest. Wow, friend! Isn’t Bethany’s story so encouraging?! And … maybe I’m feeling a little motivated to get off my buns a little more! If a single, homesteading mom who’s currently building her HOUSE can build an online business, I know you can do it, too! What questions do you have around product launches? 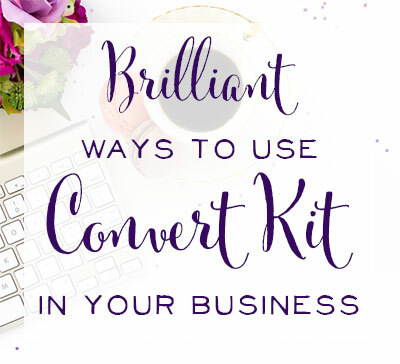 I’m so passionate about using them to build my business, and I’d love to help you do the same! And of course, now it’s your turn to head out there and Be Brilliant!